The Network is excited to launch a new report 'Service responses for people with disabilities from refugee backgrounds in northern Melbourne' in this issue. To celebrate some of the terrific work happening in this space we've compiled a special disability themed e-Bulletin. As part of the Absolutely everyone: State disability plan 2017–2020 the Victorian Government funded the Victorian Refugee Health Network ‘to complete a needs assessment of the responsiveness of the disability and refugee health service system in northern Melbourne’ (p28). This report details the outcomes of the needs assessment and makes 33 recommendations for service and policy changes and future activities to improve service responsiveness. The Ethnic Communities’ Council of Victoria (ECCV) is working to support culturally and linguistically diverse consumers, families and carers to access the National Disability Insurance Scheme (NDIS). They will be running information sessions across Victoria for people who want to know more about the NDIS and how it works, and are able to provide interpreters if they are required. They can visit small community groups, and tailor sessions for your needs. 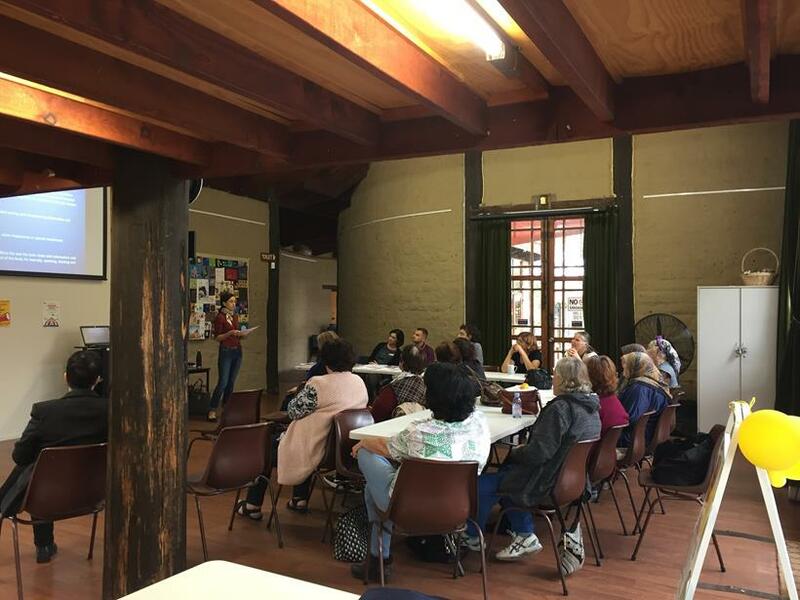 They recently ran a session for a Turkish women’s group in Brunswick, and the group was very interested to hear about the NDIS and how it can support people with disabilities. Please email ndis@eccv.org.au if you are interested in finding out more about this, or are interested in having a session for your group. Foundation House is undertaking a project that aims to better understand and document the experiences and service access issues for people from refugee backgrounds living with a disability. A community capacity building approach will be used to facilitate dialogue between people from refugee backgrounds with disabilities and relevant service providers, with the aim of developing joint understandings of the needs, priorities, barriers and enablers to service access for people from refugee backgrounds living with a disability. The project is based in northern Melbourne and will be recruiting Arabic speaking adults who are living with a disability or who are carers/parents of children (under 18) with disabilities who have arrived as humanitarian entrants within the past 5 years. Read the full project brief or for more information about the project including how to be involved please contact project worker Samantha Furneaux at furneauxs@foundationhouse.org.au or on 03 9389 8915. Interpreters decipher language to carry its meaning in a way that is both linguistically and culturally understandable, while taking into account the context of the person for whom they are translating. The ability to transmit the meaning of concepts is essential to the National Disability Insurance Scheme (NDIS). Supported by funding from the Department of Health and Human Services, the Centre for Culture, Ethnicity and Health (CEH) has been running workshops for interpreters and translators in Arabic, Mandarin, Cantonese, Vietnamese, Karen, Chin, Turkish and Persian. Regardless of their culture of origin, all workshop groups have shared their concern about how difficult concepts of individual empowerment, choice and control are in cultures that are more collectivist than individualistic. By putting forward their own needs, people of CALD backgrounds living with disability may be wary of appearing arrogant or selfish, or that their family may feel that they are rejecting them. Furthermore, given the level of discrimination they may have experienced prior to coming to Australia (particularly around intellectual disabilities), the idea that they can dream, have 'goals' and exercise 'choice and control' may be foreign; many meetings will be necessary before an NDIS plan can be discussed and developed. This work requires NDIS planners to be aware of the cultural context of NDIS participants, and of the barriers that may limit their ability to participate in the scheme. Planners must also recognise that interpreters play a vital role in the development of plans. Interpreters need to be briefed properly in order to tailor their language to the person they are supporting, whether via phone or face-to-face. Knowing which stage of the NDIS pathway the person is at also helps them understand the context of the discussion and interpret in a way that is faithful to the English-speaker and can be understood in a way that is meaningful by the NDIS participant. For questions about the project, contact Sophie Dutertre, Senior Project Officer at CEH at sophied@ceh.org.au or on 9418 9911. A full version of this article was published on the National Disability Services website on 15th May 2018. The Centre for Culture Ethnicity and Health recently launched an online community of practice (CoP) to support disability providers develop more accessible and inclusive services for CALD communities as part of the transition to the NDIS. The Department of Health and Human Services has funded the Centre for Culture, Ethnicity and Health to support NDIS providers in Victoria to engage with clients from culturally and linguistically diverse (CALD) backgrounds. CEH is delivering professional development on topics including recruiting and managing a diverse workforce and working across cultures with people with disability and their carers and helping providers to develop engagement strategies with CALD communities. These services are free to registered NDIS providers, and disability agencies who are considering registering with the NDIS. For more information contact Sophie Dutertre at sophied@ceh.org.au or on 03 9418 9911. TIS National has partnered with the National Disability Insurance Agency (NDIA) to provide interpreting services for NDIS participants from culturally and linguistically diverse (CALD) backgrounds. This service will support participants when connecting with registered service providers for funded supports in a participants plan. An NDIS Local Area Coordinator, NDIA Planner or Support Coordinator will support participants who require assistance accessing interpreting services though TIS National. A participant does not need to have interpreting supports listed as a funded support in their plan to access non-disability related interpreting services. AMPARO Advocacy has produced two fact sheets to provide information to people from culturally and linguistically diverse communities about disability and the National Disability Insurance Scheme (NDIS). 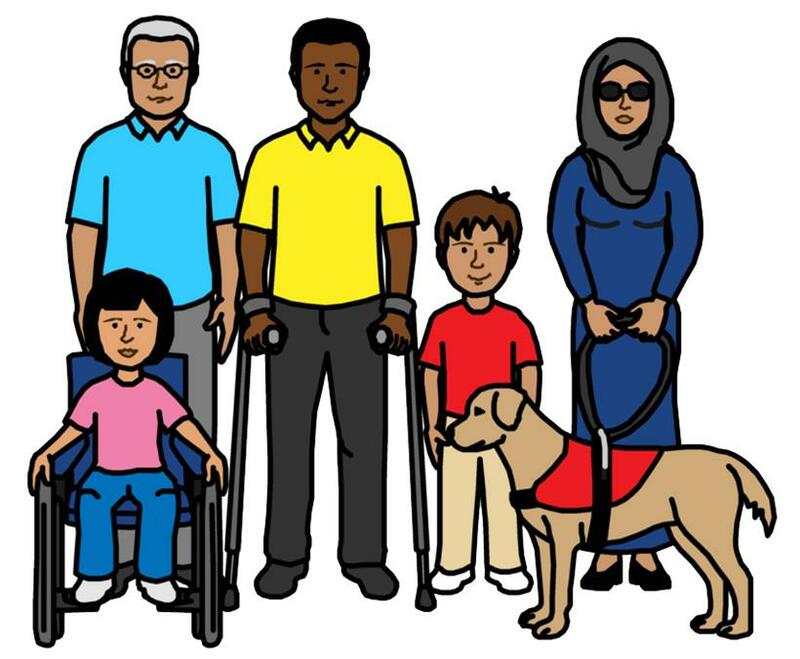 The Fact Sheets, Understanding Disability in Australia and What is the National Disability Insurance Scheme (NDIS), have been translated into 33 community languages including Arabic, Amharic, Dari, Dinka, Farsi and Karen. A comprehensive glossary of NDIS and disability terms to assist practitioners, support workers, interpreters and CALD communities better understand concepts and meanings of terms. This glossary has been translated in Arabic, Simplified Chinese and Vietnamese. These Good Practice Guides, Practical Guide for Practice Leaders, and Good Practice for Frontline Staff, are for those who work alongside people from Culturally and Linguistically Diverse (CALD) backgrounds with disability. They have been written to help frontline staff and practice leaders to develop culturally responsive, respectful and reflective practices in their work. This forum is limited to providers who are registered or interested in registering to deliver support coordination for participants living in the VIC Southern Melbourne region. My NDIS Expo is an opportunity for people to come and learn about the NDIS pathway or ask questions they have about the NDIS. With representatives from the National Disability Insurance Agency, Local Area Coordination (LAC) and Early Childhood Early Intervention (ECEI) this expo aims to link people into right information from various parts of the Agency and/or Partners in the Community. The National Disability Insurance Agency (NDIA) in partnership with Early Childhood Intervention Australia in conjunction with the Brotherhood of St Lawrence partner will be running community and provider forum sessions. Temporary Protection Visas (TPV) last up to 3 years. The first TPVs granted in 2015 have begun to expire. The Department of Home Affairs (DHA) has written to those people whose visas are due to expire to advise them they need to reapply. People who hold TPVs should keep their details up-to-date with DHA and seek legal advice before lodging their new application. 13 of the 15 Victorian Refugee Health Programs (RHPs) and Cabrini Asylum Seeker and Refugee Health Hub have access to the Department of Home Affairs HAPlite data base. General practice clinics can apply for access, and RHPs may wish to encourage that they do so. Humanitarian Settlement Program (HSP) providers now no longer have access to any health information (except when a person is on critical/potential health alert) and do not have any knowledge of ‘on arrival’ health needs. AMES settlement services will discuss this process with its Victorian subcontractors; the intention is to have this process introduced across Victoria. A ‘health contact’ in Victoria (likely to be a nominated group) is currently being established to receive critical alerts for Refugee and Humanitarian Programme arrivals from the Department of Home Affairs; this is a recent additional reporting mechanism (with notification to HSP from DSS to continue). Primary Care Connect’s ‘Khanuma’ project (Khanuma meaning ‘ladies’ in Dari) brings isolated Afghani women living in Shepparton together through the development of friendship and social connections. Through collective activities including lunches, excursions, yoga and art projects such as photography and ceramics the women have opportunities to share with each other their worries and concerns. The Khanuma group gives the women the opportunity to gain strength by sharing ideas, building wise strategies, supporting each other and having fun. The project has been funded by the Victorian Women’s Benevolent Trust with support from the Grosvenor Foundation. Rural Australians for Refugees Bendigo with support from Loddon Campaspe Multicultural Services (LCMS) are inviting metropolitan SHEV-holders to visit Bendigo for 2-3 days to explore employment options in the area. The program includes free accommodation in the homes of Rural Australians for Refugees Bendigo members and opportunities to meet with SHEV and Employment Coordinators at LCMS. With advance notice contact with employers, real estate agents, schools, TAFE, and members of Bendigo’s multicultural community groups may also be facilitated. General Practice Refugee Mental Health Forum – last chance to register! The Victorian Refugee Health Network in partnership with North Western Melbourne Primary Health Network and South Eastern Melbourne Primary Health Network are hosting a one day forum of professional learning for general practice staff and mental health practitioners. The forum’s aim is to support practitioners to respond to the mental health needs of people from refugee backgrounds, including people seeking asylum. Contemporary Nurse Journal is publishing a special themed issue focusing all areas of research, theory, and policy dedicated to contemporary issues in migrant and refugee health in nursing. The Victorian Refugee Health Network will host a statewide meeting on 16 August 2018. Subscribe for updates about our statewide meetings. The Unitingcare Lentara Asylum Seeker Program is running a free 10 week English Course for people seeking asylum. Places are limited so please register any interested clients as soon as possible. Cohealth bicultural internship program – now recruiting! Cohealth are currently recruiting for the next round of the bicultural internship program. The program involves training people of refugee and asylum seeker backgrounds to develop their skills in leadership, bi-cultural work, community advocacy and health literacy. The 2017 program was successful, and all participants are now employed casually with cohealth. ArtAbility artwork submissions now open!